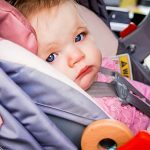 Shopping for your parents, who likely claim they have everything they could ever want or need, always proves to be a difficult task. 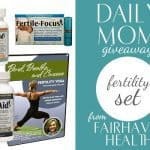 Rather then wasting your time searching high and low for the perfect gift, let Daily Mom be your guide. Today we are taking all guesswork out of what to put under the tree for Mom and Dad this year. And we can guarantee that any of our stupendous suggestions are sure to be a hit! The Holiday Season is in full swing! Daily Mom is your go-to for everything to spice up your season. Be sure to check out our Holiday Section for great tips, recipes and ideas. Our Holiday Guides are here! We’re bringing you the best Holiday Gifts for EVERYONE on your list and we are making sure you get through the Holiday season with your family clothed in style from head to toe, in a festively decorated house! A wonderfully scented candle is a classic Christmas gift. Perfect for your picky mother-in-law or your own mom, you can’t go wrong with presenting them with a candle. Jennifer Adams seasonal candles will bring not only the scent of the holiday to your room, but the simple white glass ensconced candles give off an elegant, romantic feel. 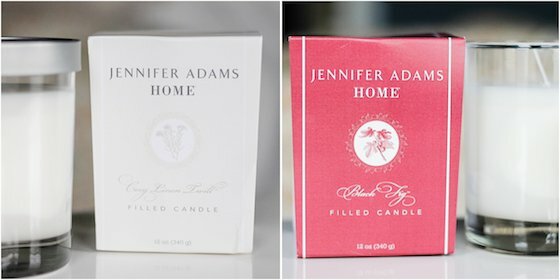 Available in the rich scent of Black Fig and the light scent of Cozy Linen Twill, Jennifer Adams candles are long-lasting, made from fully refined paraffin and soy waxes, and contain 100% cotton wicks. 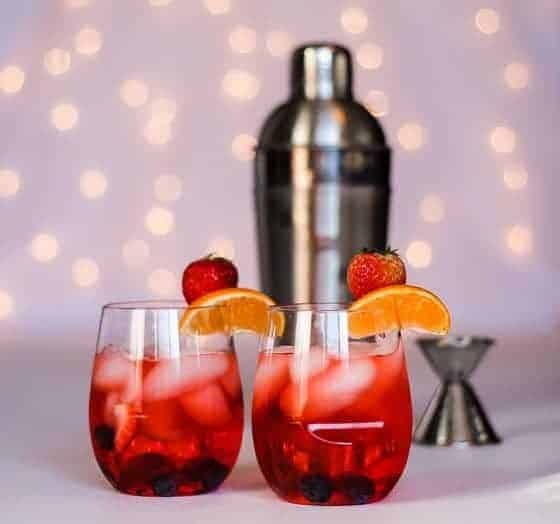 Have a wine or cocktail lover in your life? 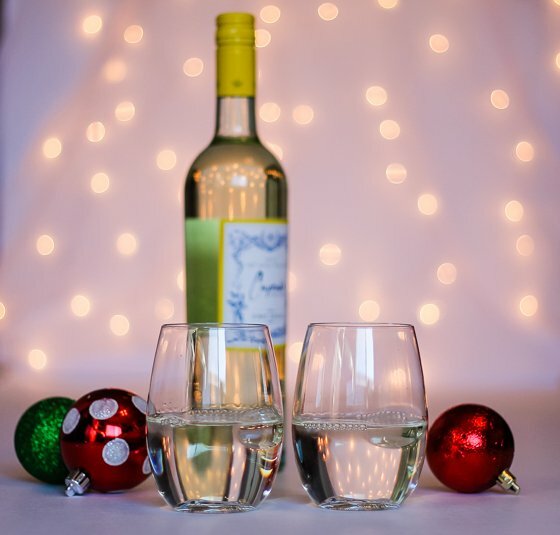 Govino is the maker of the ultimate portable wine glasses that are a must for anyone on your list that loves to take their beverages on the go. 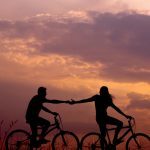 We’ve all been there: we are planning a romantic picnic or perhaps packing for a longer hotel stay or vacation and you want to bring along a special bottle of wine to celebrate that special occasion or just perhaps unwind after that looooooong day on vacation with the kids. You’ve got the wine but what to drink it out of?? Plastic red cups, or even worse, plastic rinsing cups in the hotel bathroom? Yuck! Or maybe you are having some friends over on the back patio this summer and don’t want to serve wine in a glass cup for fear they may be accidentally broken. Instead of reaching for the plastic, reach for the best shatterproof, BPA-free, elegant glasses on the market: Govino wine and cocktail glasses. These glasses were designed to be taken on the go. They are completely portable and shatterproof which makes them perfect for that outdoor party or picnic. They are made from a food-safe polymer that reflects the wine’s natural color and aromatics, much like crystal would. 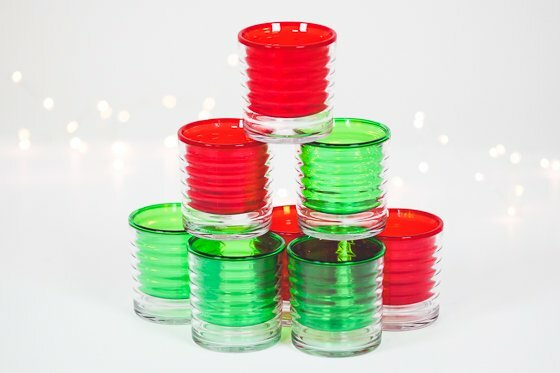 They come in sets of 4, 8 or 12 and come in a wine size that holds 16 oz, cocktail size that holds 12 oz, flute size that holds 8 oz., or in a decanter. So, no more drinking good wine out of bad glasses! This is a must-have gift for any wine lover on your list this holiday season and will get lots of use even when the holidays are over. 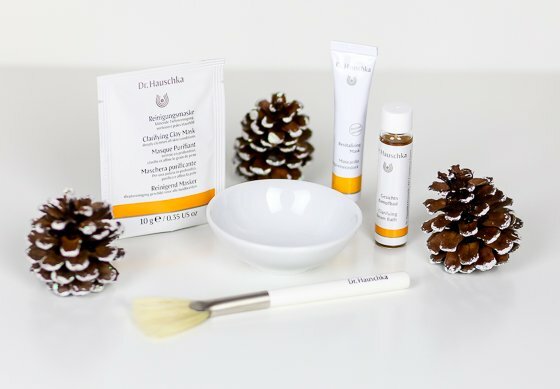 This limited edition 5-piece set contains a clarifying steam bath, clay mask, a revitalizing mask, mask brush and a porcelain bowl. This is everything you need for the ultimate at-home spa experience. Your face will be left glowing, redness diminished and your pores opened and refined. 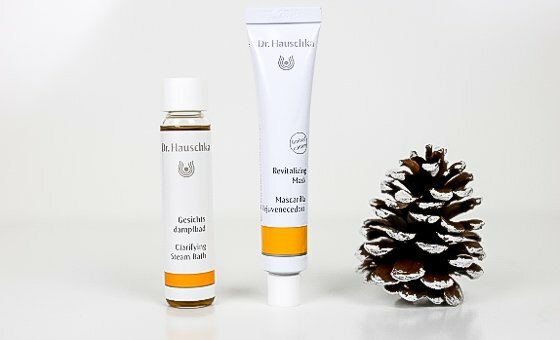 As with all Dr. Hauschka products their At Home Spa Kit is free from synthetic fragrances, dyes and preservatives, mineral oils, parabens, silicone and PEG. 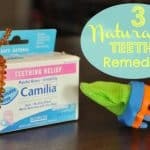 These wonderful products are not only good for your skin but also good for the environment. 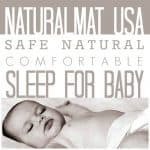 If your mother is a woman who appreciates exceptional pampering, then she dreams of anti-aging products that offer the very height of performance and pleasure. 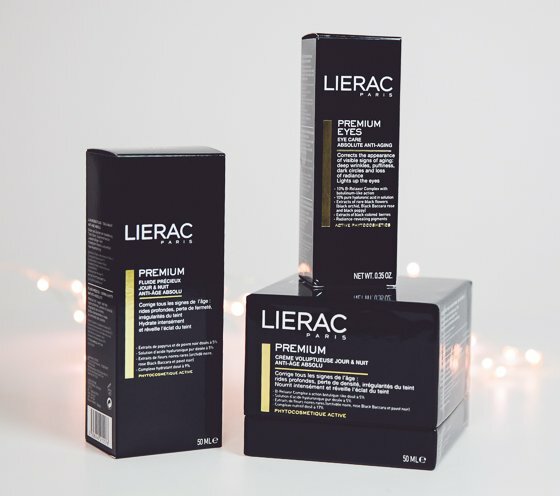 She will love the PREMIUM line by LIERAC with a luxurious blend of effectiveness and sensoriality. 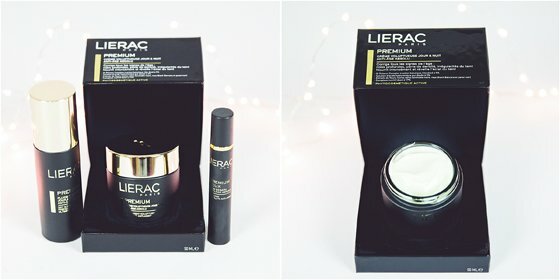 LIERAC has united the most recent breakthroughs in cosmetic dermatology and genetics to create rare and precious skincare formulas. The PREMIUM line contains an extreme concentration of hyaluronic acid, backed by a unique selection of rare black flower extracts rose, orchid and poppy with highly anti-oxidant and nutritive properties. Your mother will truly appreciate the gift of the divinely generous Premium Cream, which offers real wrinkle-filling action and extreme nutrition for a visibly younger-looking face and incredible comfort. 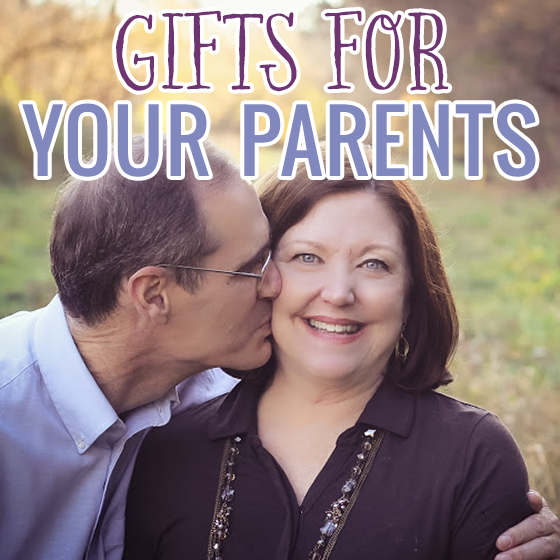 Mom and Dad will both love gifts that add to their entertaining collection when hosting parties and dinners. 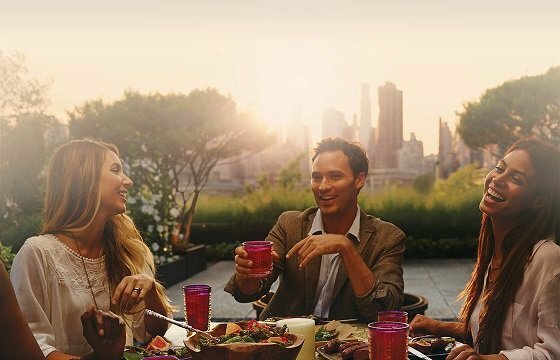 The Tervis drinkware is exceptionally unique and provides the opportunity for you to give according to the personality of the receiver. Their high-quality, American-made drinkware is double-wall insulated, dishwasher safe and built for a lifetime of carefree sipping. 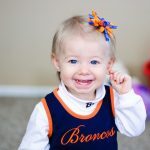 Get it personalized with your parents names or monograms, so they will always remember your present. Or present them with the new beautiful entertaining collection featuring several festive colors that will stand out in the kitchen and at the dining table. 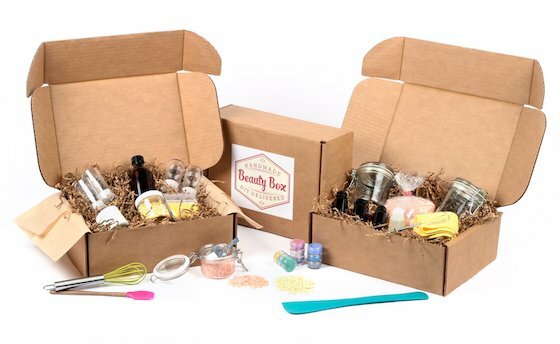 We’re excited to introduce you to the newest member of the subscription box trend, the Handmade Beauty Box. If you have a special person in your life who loves DIY projects, beauty products, and lives for surprises, then this box will make the perfect Christmas gift for them this year. 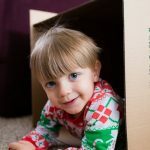 It’s the gift that keeps on giving; with one unique box arriving every month, they’ll be sure to think of you each time the doorbell rings. Every Handmade Beauty Box is packed full of all the ingredients and instructions you need to make an array of high quality beauty and spa products, including nail polish, soaps, lip balms, candles, and more! This is your one stop shop to creating your own beauty products, without the hassle of trips to the store, wasted money, and the fear of unwanted and unknown ingredients in products that you use everyday. 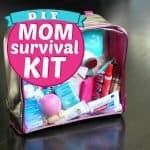 Give the gift of homemade beauty to your beautiful family and friends this year with the Handmade Beauty Box. 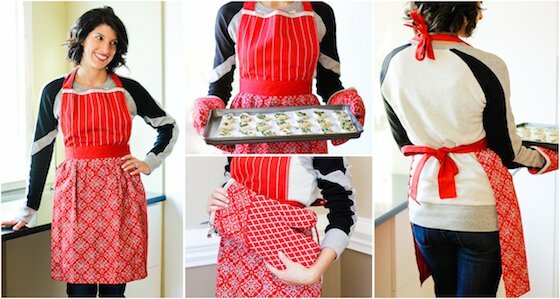 We bet the home cook on your list could always use more aprons and oven mitts, right? 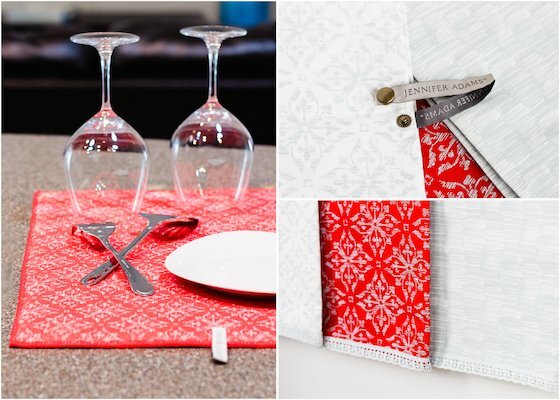 Give the next Paula Deen in your life something useful and beautiful this Christmas, with Jennifer Adams holiday kitchen linen set. Interior decorator and home design television star Jennifer Adams has designed this linen set with a simple, elegant holiday motif that will compliment any home kitchen. 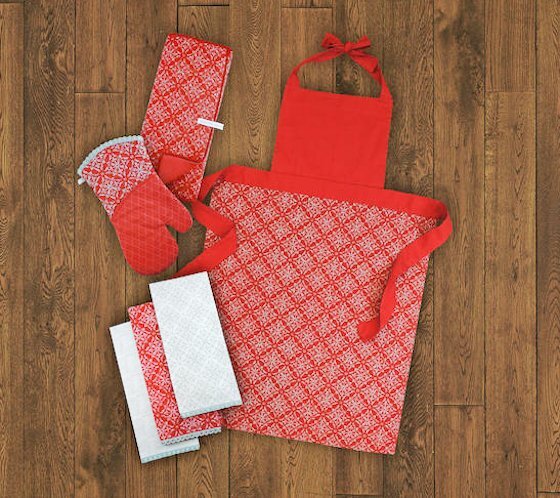 The linen set comes complete with an apron, two oven mitts, three kitchen towels, and a plush dish drying mat, all wonderfully coordinated in design and color. Jennifer Adams’s attention to detail is made apparent in these items, from the delicate crocheted trim and snap closures (which allow for easy access hanging) on the mitts and towels to the mesh backing and snap closure on the drying mat. Give the gift of a subtle holiday makeover to a much loved kitchen this year! 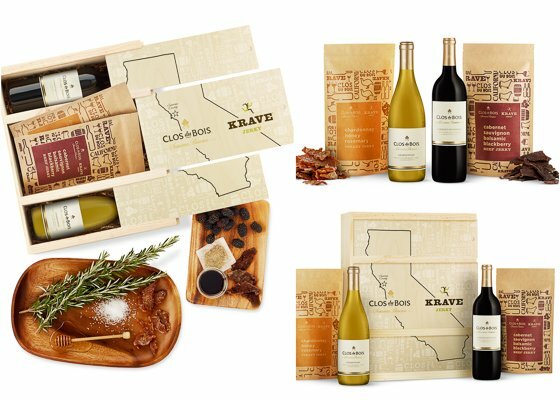 If you want to give mom and dad a unique and decadent gift this Christmas, KRAVE Jerky has teamed up with Sonoma Valley winery, Clos du Bois to create the ultimate gift box of wine and treats. 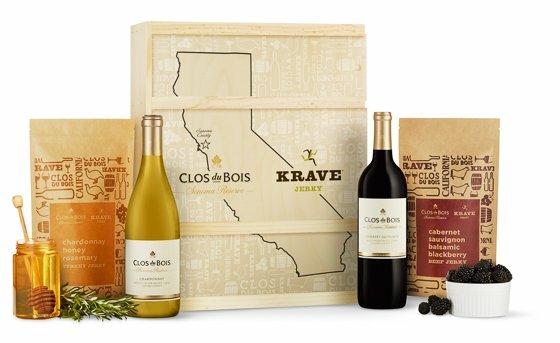 The beautiful wooden gift box includes two bags of Clos du Bois wine-infused KRAVE Jerky and their complimentary bottles of wine. Mom and Dad can enjoy a bottle of Sonoma Reserve Russian Rive Chardonnay with the scrumptious Chardonnay Honey Rosemary Turkey Jerky as well as a bottle of Sonoma Reserve Alexander Valley Cabernet Sauvignon and its complimentary Cabernet Sauvignon Blackberry Beef Jerky. This is the absolute perfect gift for the fine wine and jerky lover on your Christmas list. The meticulously thought out recipe to merge the flavors of the wines and jerky will be sure to thrill their taste buds to the very last drop and crumb. Note that this is a limited edition gift set, so be sure to stock up for all of your gift-giving needs! If the Dad in your life spends his weekends on the golf course, dont fight it anymore. Embrace it, and dare we say even encourage it? This year, gift him something he will appreciate and put to good use, day after day on the putting green. Give him the ultimate in golf apparel with Sunices line of stylish and innovative golf gear. 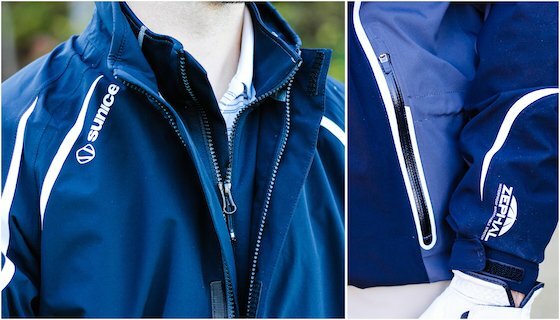 From bags and gloves to jackets and pants, Sunice has every item your golfer needs to look and perform his best on the course. 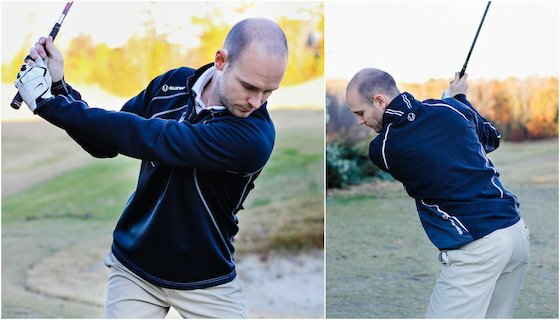 Whether your man plays in 100 degree sweltering heat or on frigid rainy days, Sunice has the solution in their performance layers, which are designed to accommodate any kind of playing condition. Sunice jackets are made with top quality and technical specialty stretch fabrics, such as Zephal, and come in an array of stylish colors for even the pickiest of guys. Layer the Allendale Jacket under the Carleton Jacket for superior waterproof protection and warmth this winter. 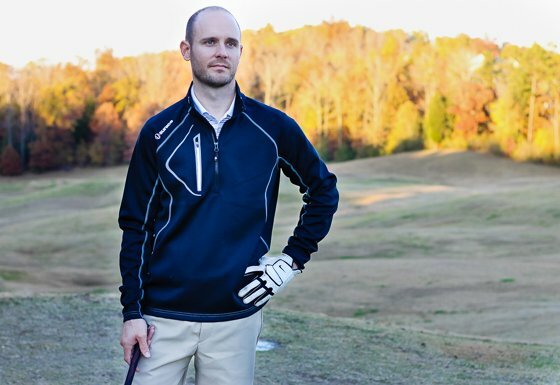 The Allendale Jacket is a half-zip, lightweight, thermal mid layer piece that fits close to the body, with a laser cut welded chest pocket and super stretchy fabric that is warm, yet breathable. The full-zip, lightweight and waterproof Carleton Jacket also boasts laser cut welded pockets (and a built-in ball cleaner shammy in the right one), cinching waist system, and adjustable velcro wrist cuffs for a customizable fit. Bonus: Sunice not only does it best in mens golf, but they also provide the same quality items for women golfers and ski enthusiasts. Happy Holidays to you, your parents & your entire family! And as always, Happy Gifting! We know your parents will be surprised and delighted with whatever wonderful gifts you choose. Be sure to check back to see all our Holiday Guides this season!